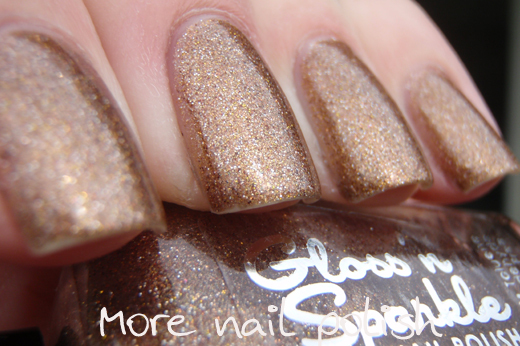 I have two great polishes from Aussie indie brand Gloss 'n Sparkle today. After wearing the black and rainbow nails for a few days I wanted to wear something neutral. 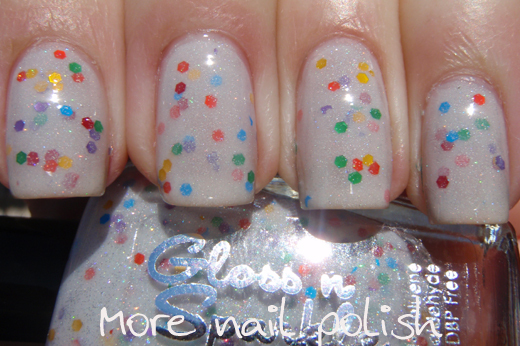 But I never expected to reach for a neutral glitter - in fact I never really thought that one existed! But that is exactly what Antiquity felt like and I loved it. It is made up of gold, silver, bronze, copper, sand and brown micro glitters and the overall feel is a light golden brown. Indoors and in the shade it is a soft neutral colour, but in the sun it sparkles beautifully. I applied three coats of Antiquity for this mani and to my surprise it dried very smooth. I was expecting the micro glitters to make this really top coat hungry, but I only a applied my regular one coat of Seche Vite and it was glossy and smooth. The second polish I have to share is one that I wore this weekend for my mum's birthday. I specifically chose this because it felt very much like a birthday kind of poilsh. 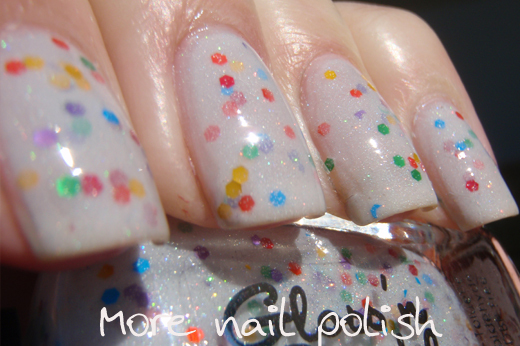 Unicorn Droppings has a silverly white sparkling jelly base that has the teeny tiniest micro holographic glitters as well as the much more obvious matte rainbow glitters. Once thing I love about matte glitter is that it is so much easier to photograph. I was able to take these photos in full sun and the glitter doesn't reflect the light with any sort of glare or flare. This is another great Aussie made brand. The bottles are the lovely Zoya shaped ones and the product branding is really exceptional, with high quality clear labels with metallic print. I really that professional touch on an indie product. 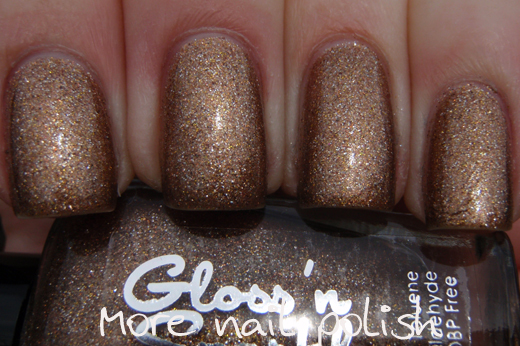 Gloss 'n Sparkle has a fancy website as well as an Etsy store and her polishes are $10 AUD each. Currently shipping is only within Australia, but I know they are working on other arrangements for international orders. I have a few more Gloss 'n Sparkles to wear, but I enjoy wearing each of them as full manis, rather than just swatching them, so it means you will have to wait a bit for photos and individual blog posts. And just for a bit of fun, here is the cake I baked and decorated for my mum's birthday. After mentioning a few ideas to her, she loved the idea of a dragon cake, and this is what I came up with. Unicorn Droppings is so pretty!! Those polishes are gorgeous!! I hope they are able to take international orders soon, I would pay a pretty penny for these to get to me in the US that is for sure.... Also, that cake is amazing! You are unbelievable when it comes to those cakes, I am always impressed. I love Unicorn Droppings, and it has a great name haha. Lovely swatches. And that cake looks delish! The name Unicorn Droppings sold me all by itself lol. Ahh I love Unicorn Droppings! I've been lemming Unicorn Droppings for so long! I hope G&S will ship internationally soon! 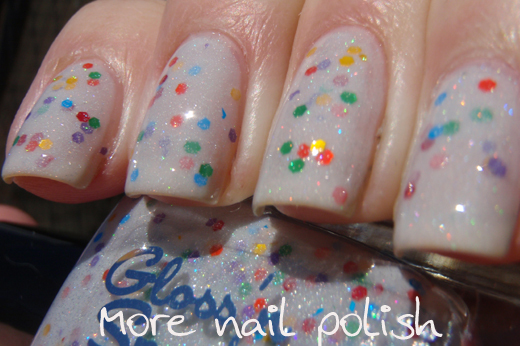 Wow, gorgeous polishes! I would love to get Unicorn Droppings, but I'm in the U.S. Awesome cake! Hope your mother enjoyed it and had a happy birthday! 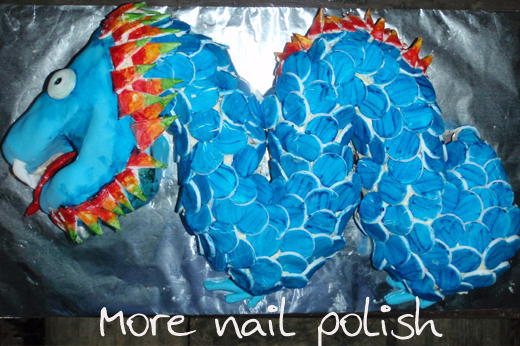 I love the dragon cake, very cool! Great cake!! Antiquity is right up my alley. 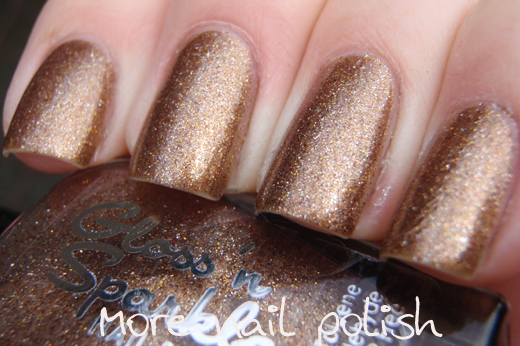 Brown(ish) sparkly love.